Fireproofing Insulation Experts in Moncton, NB and area. Fireproof your home or business with fireproof insulation. Having a fire in your home or business is a devastating thing to have happen. How can you prevent fire from destroying your home or place of business? Through quality fireproofing handled by fireproofing professionals. Advantage Insulators are your local fire proofing professionals. We use spray-on fireproofing methods, which involves the spraying of various products onto construction materials to improve resistance to fire while decreasing chances of weakening, burning or melting under extreme heat. We apply fireproofing materials directly to steel beams, roof and floor assemblies, columns, concrete services, and joists in both industrial and commercial environments. 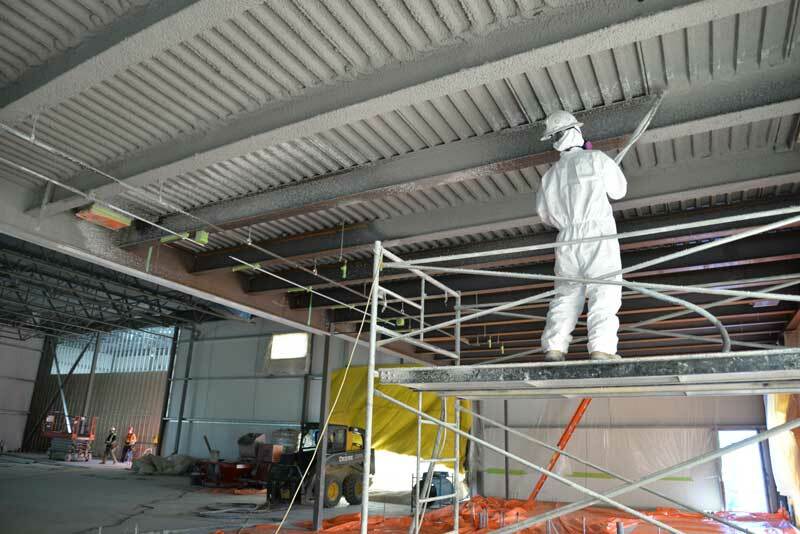 We can determine exactly the right amount of spray-on fireproofing needed, depending on the weight, size and type of structure to which it will be applied. 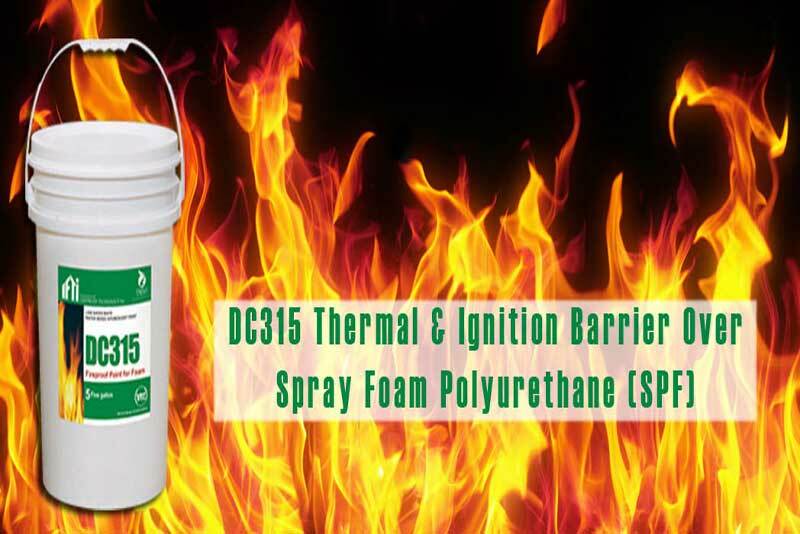 We use DC315 applied over Spray Polyurethane Foam which provides a thermal barrier. Marked and listed by Warnock Hersey Intertek W/N 20947. Single coat coverage reducing labor and material costs equaling higher profits. Passed CAL 1350 – safe for use in schools and high occupancy buildings. Passed strict EPA — V.O.C. and AQMD air emission requirements. Approved for Incidental Food Contact complies with NSF/ANS1-51 requirements of USDA. Easily applied with a sprayer, roller, or brush with no complicated mixing. Fast and easy clean-up, with no waste and fast turnaround time. Compatible with any paintable construction material. Meets Life Safety Code 101.